The information below came up during the Education call as either announcements or questions asked during the time spent in Break-Out Groups. There was one question posed in one of the break-out groups that should be included here: How do we push back HARD to our governments--kids are going to school and learning compassion when outside of school they see the opposite. They see they have no future. They have to fight to survive (i.e.,Ferguson). Obviously there is no one answer for this concern, but we are hoping that our efforts to encourage compassionate city/community initiatives is a start--a path where people work on issues that are important to their communities, and hold themselves and their elected politicians to act ethically on behalf of the greater good and begin action plans that will address the needs of their community. In 2013 the Compassionate Action Network International (CAN) joined with No Bully to create a Charter for Compassionate Schools. Many other thought leaders joined in writing the Charter for Compassionate Schools. The Charter, rationale for the Charter and follow-up materials are located on our website. to inspiring people to make conscious change. She is a best-selling author of three books and numerous personal and professional development tools, and a Compassion Advocate. 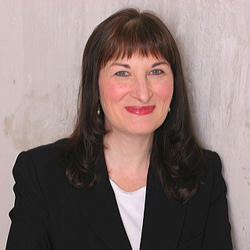 She consults and advises internationally, teaches university leadership, conducts leading edge research on values, generational trends, and has spoken to audiences around the globe. Olivia's third book, Turning Compassion Into Action: A Movement Towards Taking Responsibility, offers inspiration and practical advice on how we all can take responsibility to make a difference in the world, at work, in our families and in our communities. Learn how one Canadian school successfully used Olivia's book as a text. Also, she serves as a Director at the Kindness Foundation in Canada: http://www.kindnessfoundation.com/about-kindness-foundation/. Marilyn: Today we are highlighting Olivia McIvor. The Charter has been working with her for about a year- on a compassion course and certification learning program. Olivia: My background is in business. The more I work with adults, the more I realize that I need to work with kids and students. There needs to be a longitudinal approach. I like to use the phrase “from the playground to the boardroom.” Kids grow up to adults with patterns of interaction. In order to change issues in the workplace, we need to start with children. I have worked for years in Human Resources. We don’t outgrow poor behaviors. I have looked at research on compassion and optimism. Research shows that we typically have 6 parts negative to 1 part positive in our interactions. We need 2.9 positives to counter 1 negative. A good workplace functions with a 3 to 1 (positive/negative) ratio. A positive team is a 5 to 1 ratio. So, if we follow teachers, faculty, students around, what ratio would we see? When you look for these ratios in your daily life, it can be a life-changing experience. We need to work consciously in young minds and hearts to instill compassionate behaviors. Negative behavior patterns will not change naturally on their own. If we improve social-emotional learning, we can improve behaviors. I live in Vancouver, British Columbia, Canada. In a community, there were problems with youth offenders. The positive to negative ratio was used with these youth. Police officers gave out “tickets” to youth for doing positive things. The officers used 50,000 tickets. By following the tenets of the 3 to 1 postive/negative ratio, the community decreased the youth offender rate 42%. We know that it works. I have used “kindness counts” at school and in the workplace. We developed lesson plans for topics: kindness, gratitude, etc. These were given to teachers to develop curricula. Schools seem to be taking on more and more the job of teaching children values and behavior. The curricula and toolkit are being used to involve school kids are in a character- building program. The focus is to use a positive approach to improve children’s understanding of positive words and actions. The toolkits are geared for social-emotional learning. They can be used from Grades 4-7, currently, and are in the process of being developed for high schools. They can be adapted to the learning outcomes for any school. The toolkits are being piloted in Vancouver schools. They perfectly align with the teachers’ learning outcomes. At the end of my book Turning Compassion Into Action: A Movement Towards Taking Responsibility, there is a contemplative guide with action items for each chapter. This guide has been used with students in the past year. As a result, the students have signed the Charter and the school has become a Compassionate School. We cannot just work with youth. We need to look at teachers, faculty, adults on campuses and how they are treating each other. We need the full effect. Savanah: Calling from Haiti. Having a problem hearing the conference call. Could not hear the speaker well. Sarah: Where can I access the research Olivia has done? Is the pilot program just in process? What research findings do you have? Bullying in schools? Olivia: Yes, just starting the research with the “kindness toolkits.” Will be looking at impacts over a school year. Sarah: How can we be in the pilot? Olivia: Just contact me and I will send the toolkit. Will ask you to document simple markers of impact with teachers and students. The toolkits are designed by teachers, for teachers. Used 10 different curriculum designers in their development. I can work with people who are interested. Sidney: Calling from Belgium. As you work on institutional levels, you are working from the outside in. Wondering if there are ways to get teachers and police officers to be compassionate for themselves? Olivia: Important not to work just with children. Self-compassion is geared into all the lesson plans. Builds self-awareness, self-perspective, etc. Linda: Calling from Massachusetts. Wants access to the curriculum. Everything that Olivia said in the opening is very encouraging and inspiring. Your holistic and complete view is wonderful. Interested in her elementary and school product. Linda is a former curriculum specialist. Diagnosed with terminal breast cancer. Wants to be involved. Wants to bring to faith-based organizations. Olivia: Toolkits for the workplace can be used in different environments. Can be used for individuals and teams of people. Very useful in faith-based organizations. Her book has 50 stories of what compassion means to people. 4 things: sense of optimism, presence with ourselves, sense of belonging and community, a sense of calling in life and in work. Compassion is such a broad topic that can take us into many different realms. Jinx: In Louisiana- needs copy of the toolkit to approach the School Board. Do you have an introductory toolkit? Lisa Kline: In Connecticut. She is a paraprofessional. Works with a lot of special education children K-12. Can I get the info as well or does it have to go through a teacher? Olivia: You can definitely access the material. Toolkits are interchangeable for ages and can be used in special education. Brianna: She has heard discussion about making compassion education mandatory in schools. What about working with teachers first before making it mandatory? How do you feel about giving teachers this package as a mandatory tool? Do you think it would work? Olivia: I think it would be contrary to the value of compassion. In Vancouver schools it is not mandatory. It is optional. The teacher must be empowered to want to bring it into the classroom. Also, we cannot mandate it in the workplace. It has to come from the heart of the teacher, faculty and staff. It just takes 1 teacher to start. She teaches Human Resources Management in college- can bring compassion into any kind of curriculum. It has to brought in by the instructor. Rick: He works in a large school system in Seattle. Interested in how to integrate a compassionate curriculum. What about rewards/tickets for students? How do we approach school boards and teachers (at least in US) who are worried about testing, etc.? Olivia: It has taken about a year to get it through the school board in Vancouver. The curriculum should embrace the learning outcomes of the area and support those outcomes. In British Columbia- we have the “erase” strategy to bullying. Her curricula address this in a subtle fashion. The schools have a social responsibility initiative. Also, social-emotional learning in K-12 is a mandate. So we need to integrate the compassion curricula into the core competencies. Olivia teaches the positive-negative ratio to her college students. They spend 1 week listening for the negative interactions in their daily life and record those a journal. They spend the next week looking for the positive. Then, they report. Then, they practice the positive-negative ratio in their lives. The experience is life-altering for them when they actually slow down and listen. Integrating compassion takes looking at your own curriculum and finding ways to weave in compassion. It can be simple. Marilyn: Introduced the process for the break-out sessions and the questions. What is a crossroad you find yourself at right now regarding compassion and education generally? What are the possibilities you see in your work that can support a more compassionate approach with colleagues and students? How/where could you add the values of kindness and compassion into your curriculum/learning outcomes? What would you do differently in your teaching? Linda: Liked Stephan’s work with the Golden Rule. Question for Stephan- do you ever look at restitution (owning up to what compassion is missing) to help with reconciliation/forgiveness? Stephan: Yes. If we can get the Golden Rule as part of awareness, then such experiences (e.g. restitution) will come from the practice of the Golden Rule. Brianna: She has a game that is flexible- min of 20 min. It has a Montessori-like approach and allows flexibility and can be used/played over and over with new discoveries each time. The game helps participants see the needs of the other participants. The game is the “No Fault Zone”: http://thenofaultzone.com/the_no-fault_zone.html. Learning compassion does not always have to be a group process. Marilyn: Introduced Sarah Queblatin. She has a project: “Kites for Peace” from the Phillipines. Incredible project. Sarah Queblatin: Thank you for inviting me to the call. “Kites for Peace” is a self-replicating activity/idea- inspired by kites flown by children of Gaza in 2011. She wanted to do something simple, yet creative to give children a voice in violent circumstances. It involves working with small groups/circles. The simple action of kite-flying is a way of gathering people together- intergenerational. People all over the world are participating. The goal is to go beyond and break a world record by Nov 20, 2014 - Universal Children’s Day: http://www.un.org/en/events/childrenday/. Marilyn: you can find info about the project in the most recent Charter Education Newsletter. There is a wonderful film about the 1st kite-flying. It is a great way to celebrate Universal Children’s Day. Marilyn: Introduced Lesa Walker (http://charterforcompassion.org/user/2078), a Charter volunteer, and asked her to share about key strategies to engage teachers, children, youth (and anyone) in the daily practice of compassion. Lesa: Shared about the Compassion Games. For key info go to: http://www.compassiongames.org. The Games are September 11-21. There is also an alternate date for schools/teachers to participate in the Games from October 15-25. She encourages everyone to join in this global celebration of compassion. Lesa shared information about the Compassion Relays and the free “Compassion Today!” mobile app. She provides key Info and teacher resources for these strategies in her article “What Every Teacher/Mentor/Parent Can Do to Teach the Daily Practice of “3D” Compassion (caring for others, self, and the Earth)”: http://charterforcompassion.org/node/7906 . Marilyn: Thank you to all the people who have contributed ideas for compassion in education. You can go to the Charter for Compassion website and find the Compassionate Schools Initiative: http://charterforcompassion.org/education-book . There are many resources there. Andrew: Invitation for people to go the Charter site and click on “Join”: https://charterforcompassion.org/join?reset=1&id=6. When you join, you get the Charter newsletter, updates from the Charter and also may contribute to the Charter financially. Over 1300 people have now joined the Charter. Gratifying to see how people are responding. Thank you. 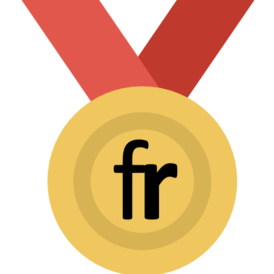 The origins of the Kindness Foundation began when co-founders Nadine Marshall and Brock Tully embarked upon a journey to make positive change in the world.Between 1998 and 2006 a multitude of “kind acts” campaigns were launched, each one focused on the extremely powerful rippling effect of kindness. The intention of these campaigns was to inspire others to do “kind-acts”, thereby creating a chain reaction of kindness to be felt around the world.During 2006 a new Board of Directors was established to guide the organization to the next progressive stage. Under the direction of the new board leadership the strategic goal of inspirational self-directed “Kindness Toolkits” were launched. The intention of the “Kindness Toolkits” is to inform, educate, and inspire kindness in schools and workplaces. But, it doesn’t stop there. 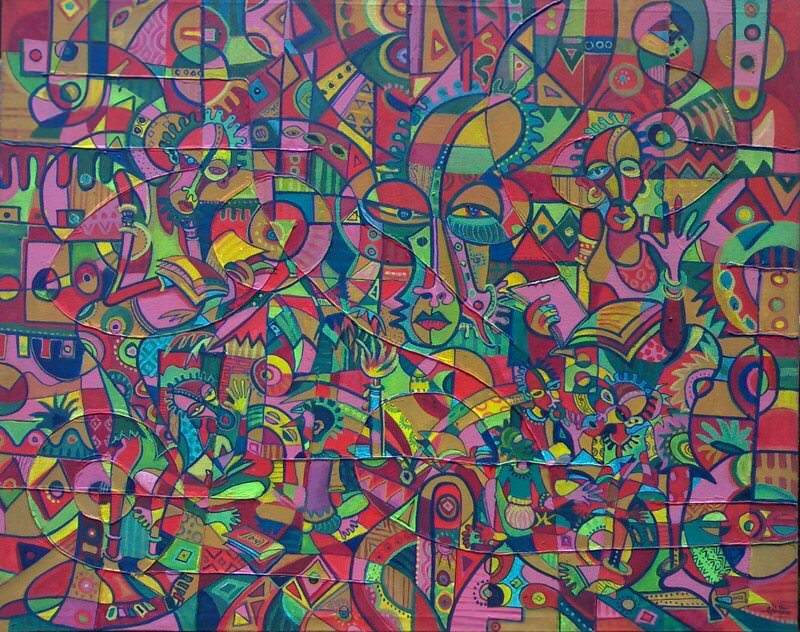 The idea of a great unifying theme of reciprocity and interconnectedness, such as the Golden Rule, has existed in a wide array of cultures for many-centuries. The Golden Rule reflects not only considerations and kindness towards each other, but also regard for the laws of nature and the need for balance in our lives. produced unique, one-of-a-kind broadsides featuring sixteen formulations of the Golden Rule and placed them into schools in our community. worked with the Urban Crossroads Center and Senator Fred Fife (D) to introduce a Golden Rule resolution into the Utah Legislature to consider the Golden Rule as they enacted their duties. created a packet of Story Starter Cards for use in the middle schools featuring mandala like drawings, golden rule related quotes and mini-biographies on those quoted. commissioned a world-class magician to produce and perform a golden rule themed performance for an anti-bullying campaign at the middle school level. We need to act NOW and make a concerted effort to educate current and future generations in the life skills of awareness, critical thinking, and empathy, all of which build and strengthen our compassion. As with any skill (such as reading, speaking a language, playing a sport), the best way to hone our compassion skills is to make such training a priority (at home, work, school, etc.) and to practice daily. 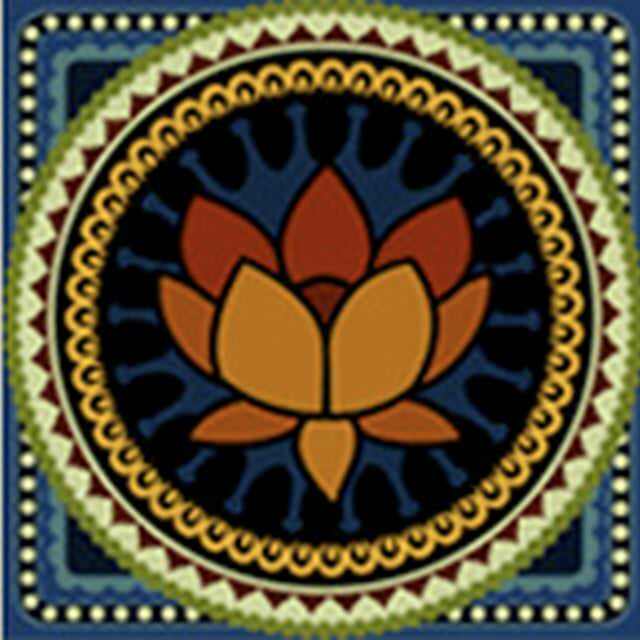 The practice must encompass the 3 dimensions of compassion: caring for others, self, and the Earth. One thing can be guaranteed. We grow stronger in what we practice. Strengthening “3D” compassion through daily practice at a personal level will change individual behaviors and generate a collective force, moving us closer to the global goals of peace, health, and environmental sustainability. Read more. The network was established in 2001 by a group of educators, students of Thich Nhat Hanh, Zen Master and peace activist nominated for the Nobel Peace Prize by Dr. Martin Luther King, Jr. Collectively we saw mindfulness as an antidote to the growing stress, conflict and confusion in educational settings as well as an invaluable gift to give students. The purpose of the network is to facilitate communication among all educators, parents, students and any others interested in promoting contemplative practice (mindfulness) in educational settings. Award-winning seventh grade science teacher Fred Whittaker created the “Familiae Pacis” program at St. Francis, based on the Five Practices of Compassionate Listening. In this peace education program, students are given opportunities to express themselves as people of action as they develop, manage, and engage in local and global service projects. In addition, these students formed a Committee on Conscience to raise funds to create awareness and offer support for causes such as Darfur refugees and Hope Flowers School in Palestine. St. Francis is now well known for its peace education program, and has even hosted a Peace Summit to urge all students to work for peace. To see the Familiae Pacis curriculum, please click here. Facing the Future is an international leader whose mission is to create tools for educators that equip and motivate students to develop critical thinking skills, build global awareness, and engage in positive solutions for a sustainable future. We are a self-sustaining program of Western Washington University. In a world where the lives of our neighbors next door are inextricably linked to those of our neighbors abroad, students need to understand the linkages between local and global issues, and how they can personally help to build positive local and global communities. 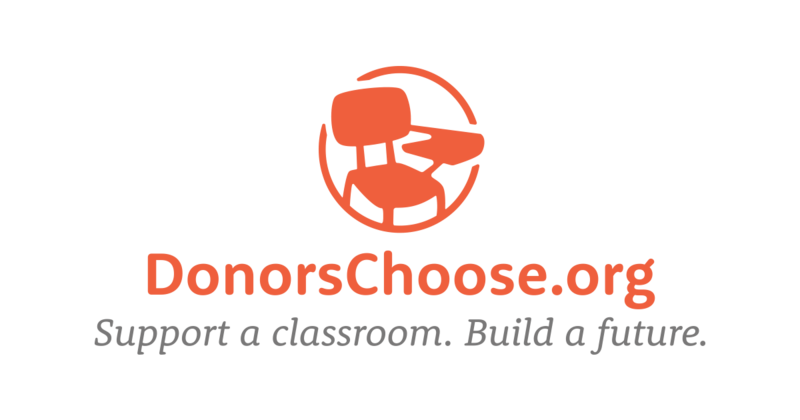 Donors Choose: DonorsChoose.org makes it easy to help classrooms in need. Public school teachers post classroom project requests which range from pencils for poetry to microscopes for mitochondria. Twelve simple questions focus one's attention directly on "how it feels to be you" in that moment and help one to re-experience the difficult-to-explain FELT EXPERIENCE of a Need; both how it feels when it is unmet, and when it is met. This simple observation is very deep, and it's simpler and more impactful than storytelling (finger-pointing) therapies, because it's directly experiential. Above all, it's empowering for the person doing the self-inquiry: we are each the expert on our own experience, but help focusing is helpful. Newsome, Gavin. 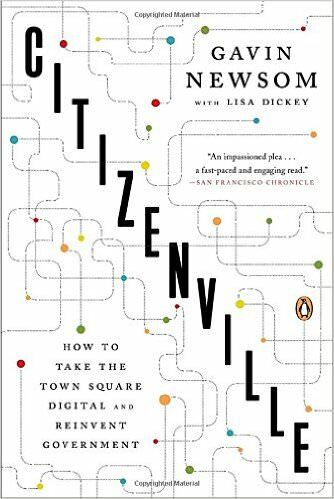 Citizenville: How to Take the Town Square Digital and Reinvent Government. (Penguin, 2014). Souldancer. Pay Me What I'm Worth (Lulu, 2007). How do you define worth? Money? Health? Love? Power? Property? Reputation? Respect? Time? Wisdom? 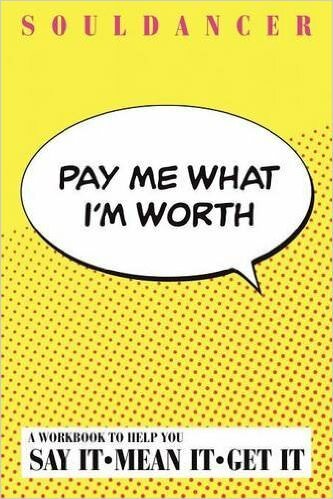 Pay Me What I'm Worth helps you discover answers to these questions with common-sense, FUN and unique exercises. Each easy exercise explores what you already have (and most likely forgotten) in different ways. No calculators, spreadsheets or number-crunching involved - EVER! We begin with a treasure hunt and end with knowing the true meaning of gratitude. Enjoy a healthier self-esteem. Rediscover yourself in ways you never dream of! As you learn and grow more aware of all your worth, you'll naturally attract what you're worth with ease and grace. Pay Me What I'm Worth shows you how pay others what their worth as well! Discover how to honor everyone's worth ethically, easily and effortlessly. It's time to balance what we give with what we receive. As we receive more, we may give more! How? Read this book. Do the exercises. Discover the secret to giving and receiving MORE each and every day. Stewart, John. 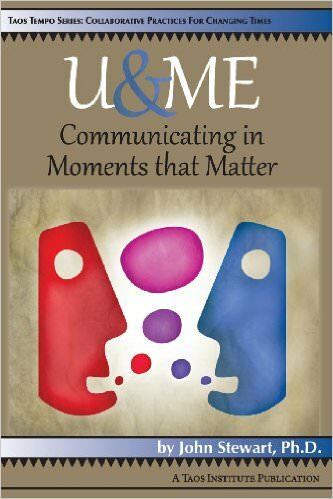 U & Me: Communicating in Moments That Matter (The Taos Institute Publications, 2014). Handling political differences with family or friends; Simplified approach; Updated findings from brain research. Are you as happy as you you'd like to be? Feeling satisfied with your job? Getting along well with family members? Experiencing serenity, at least some of the time? Do you think your life situation is contributing to your longevity or pushing you toward an early grave? Nothing is more critical to the quality of our lives than our relationships, and nothing is more critical to our relationships than how we communicate. U&ME: Communicating in Moments that Matter shows how to improve the quality of your life by improving your everyday communicating. In the first 2 chapters, you'll learn the connection between effectively communicating and The Big Question, "What does it mean to be human?" You'll find a simple model that shows how to make your communicating as personal as possible. Then eight chapters show how to improve your texting, Skyping, meeting management, mentoring, your dating and parenting, your relationship with your spouse, your work projects, your contacts with people who identify with different cultures, and your spiritual and religious life. The concepts in U&ME are research-based, and the dozens of practical skills have been tested by hundreds of thousands of spouses, parents, students, managers, multiculturalists, teachers, and spiritual and religious practitioners.